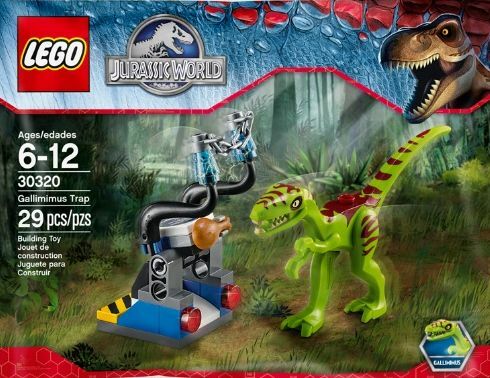 The Gallimimus Trap is a Jurassic World Polybag that will soon be available on retail. It has only twenty nice pieces and brings a small green dinosaur and a small machine that intends to be a trap to catch it. 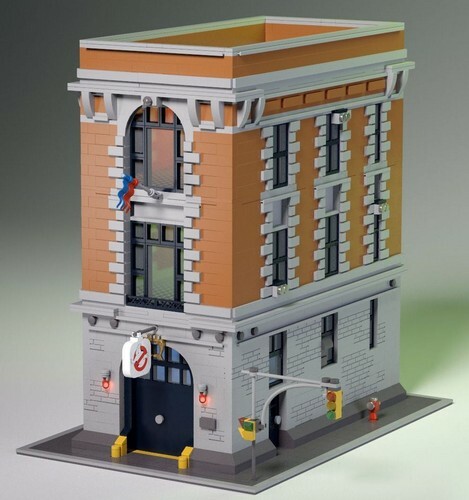 And honestly, I must say that is a pity that it doesn’t feature any mini-figure (a shooter or a vet for instance). It wouldn’t increase too much its price or even its size and would surely give it more interests. The Dinosaur has a pretty color combination mixing green with dark red and its muzzle expression is definitely very nice. The front members seem also to move which is nice in terms of playability. The Raptor Escape is a new Jurassic world set and the only one from this new wave that was still unknown in terms of look and features. 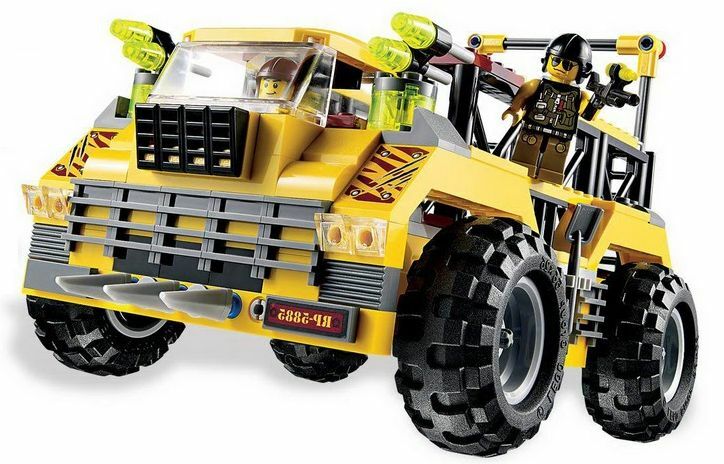 It will bring a bit less than four hundred pieces and will feature a sort of containment station, a cool ATV, two mini-figures (Vet and Berry) and a couple of Dinosaurs named Charlie and Echo. The station, at the first glance, looks highly secure, with lots of stuff to difficult the Dinosaurs’ escape but, as the set name suggest, they will definitely run out from the station. In terms of playability this idea looks definitely great. 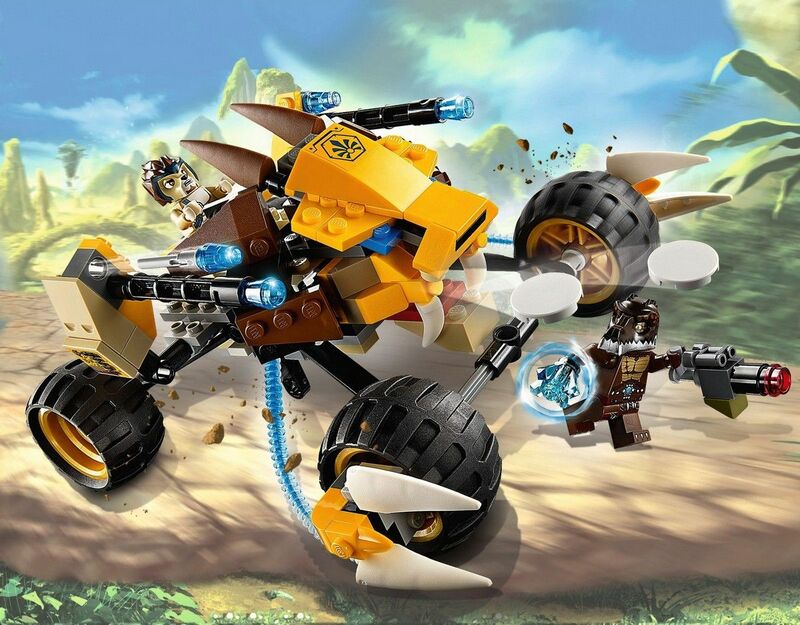 The Raptor Chase is a 2012’s set of a new city theme. 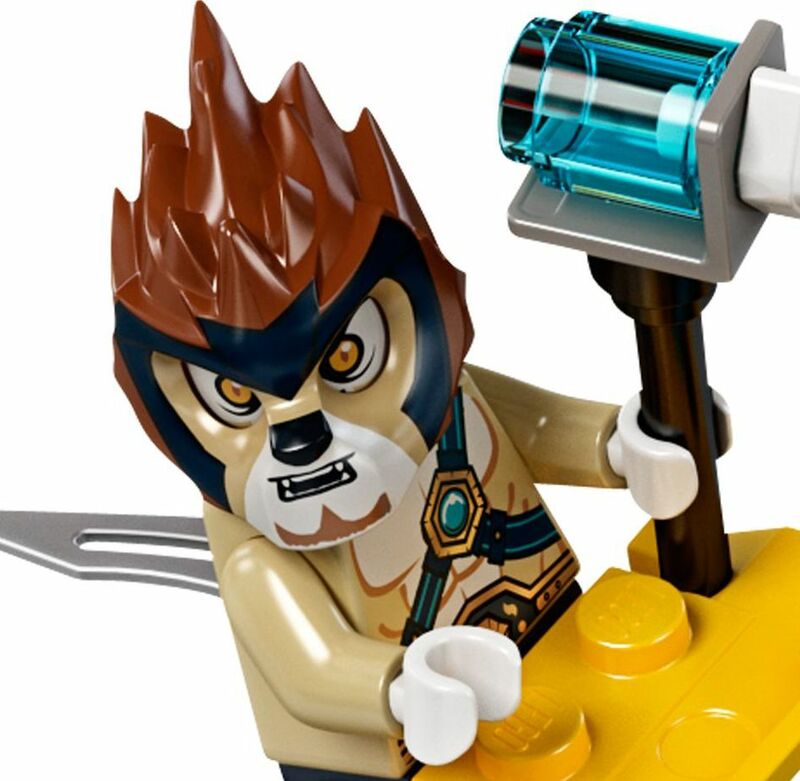 It has almost two hundred and sixty pieces and two nice mini-figures. 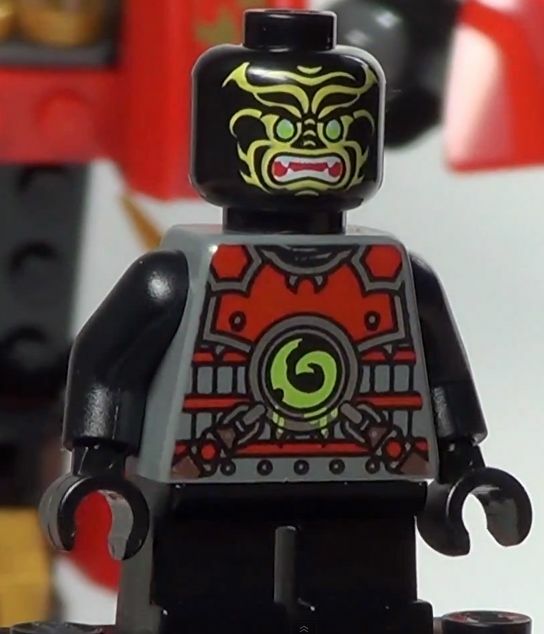 These are also, in my opinion, a good addition to the collection because they not only belong to a new theme but especially because they have pretty nice details. The core of the set is the big truck. And it is definitely tall. 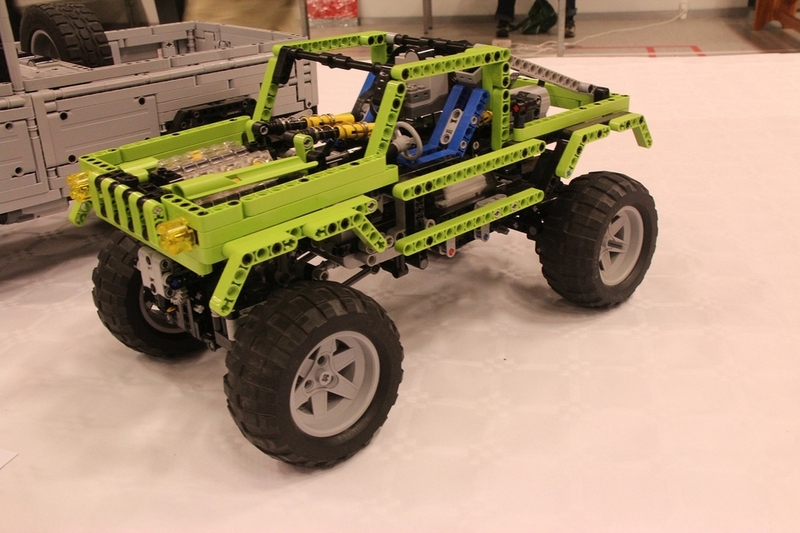 Its wheels, whose axes are made with a technique piece, have almost the height of the mini-figures and in the middle, there are some side ladders to climb to the cab. Next to the driving seat, there is a hunting platform, which rotates pretty well, based on the windshield with some spears that are really nice. The Ocean Interceptor is a Dino’s set, released this year and it is a good but overpriced addition to the theme. 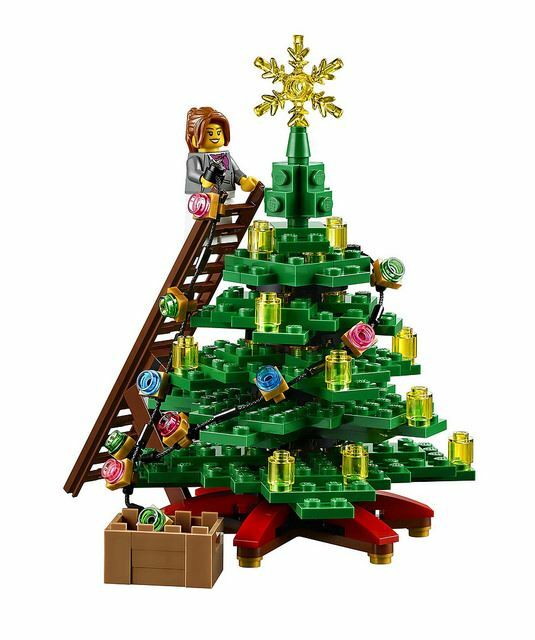 The plain has exactly two hundred and twenty two pieces but thirty five dollars look a bit expensive, unfortunately looks like a theme tendency. 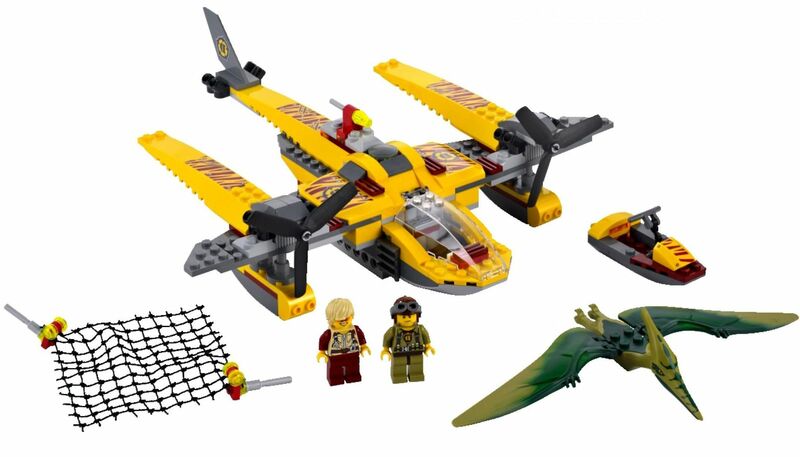 The set has also, beside the hydroplane, two mini-figures, a small jet ski and of course the long pteranodon. 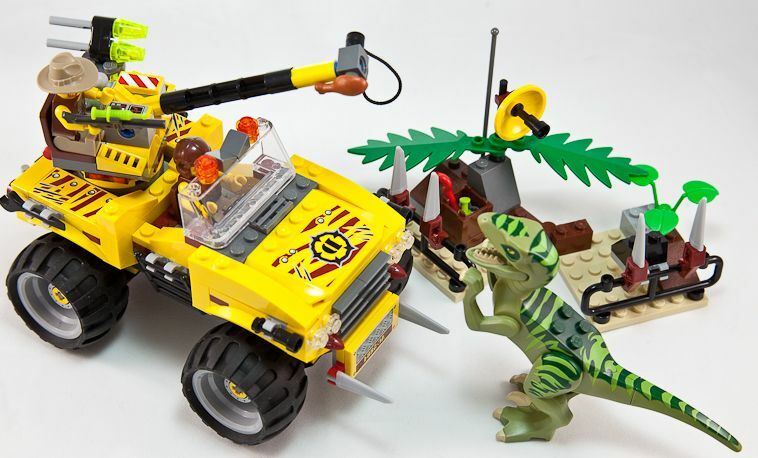 The Triceratops Trapper is a Dino’s set released this year, and basically is constituted by two animals: The dino and the truck. The Triceratops is perhaps the biggest dino of this theme and the truck, well the truck will have to be park near the city because it simply won’t be able to enter it.